Hyderabad, April 24: Kala Tapasvi K. Viswanath made all the Telugu people proud on Monday. Government of India announced 'Dada Saheb Phalke Award' for him for the year 2016. Phalke award is considered the highest award as far as cinema is concerned in India. The last person to get the award from Telugu Film industry is D Ramanaidu in 2009 and before that it was Akkineni Nageswara Rao in 1990. The Governor of Andhra Pradesh and Telangana congratulated Kala Tapasvi K. Viswanath and extended his heartiest wishes to him. 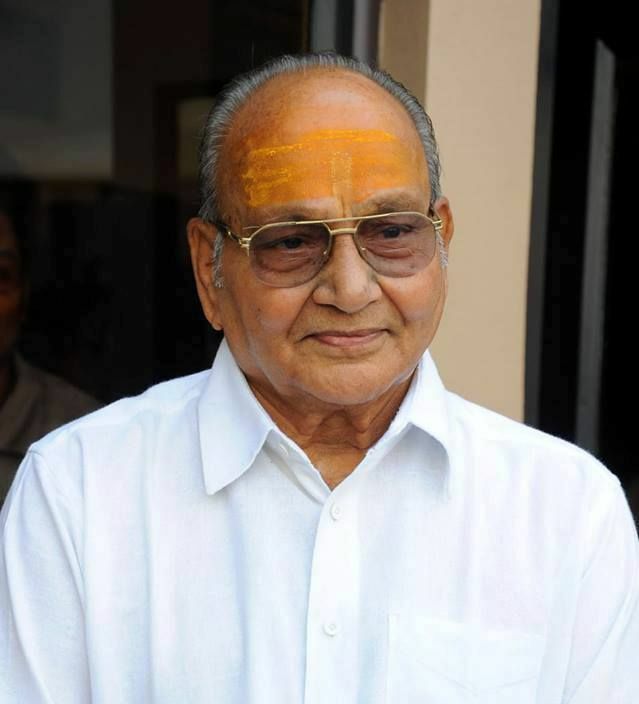 He recalled the commendable services rendered by K. Viswanath for the Film Industry in South India, particularly for the Telugu Film Industry and felt that the conferment of 'Dada Saheb Phalke Award' on him, is a true recognition of his services. Narasimhan said that Kala Tapasvi K. Viswanath is well known for the Golden era in the Telugu Film industry with the classical dance and music based movies such as 'Sankarabharanam', 'Sagara Sangamam', 'Saptapadi' etc. and that through these movies, he has popularised classical dance and music throughout the world. Meanwhile, the Chief Minister has expressed his happiness over K Viswanath getting the prestigious Dada Saheb Phalke Award. He said that Sri Viswanath brought fame not only for Telugu Film Industry but also the entire Indian film industry and he rightly deserves the Phalke award. He said K Viswanath made films, which mirrored the Indian music, dance and traditions and showcased their importance. Sri Viswanath, who demonstrated his rich taste should become a guiding factor and role model for the young generations, the CM desired.